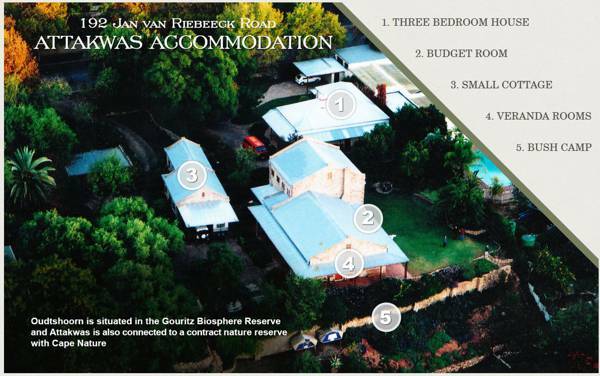 B&B and Self Catering accommodation in Oudtshoorn. Owner managed, quality accommodation at reasonable rates. Enjoy our spacious setting and braai areas with wood for log fires. Within walking distance from all restaurants. We provide info on all the back roads and 4x4 adventure routes & bush camps. Maps drawn by owner - get your personal advice for self-drive. Special trips on the famous Burchell botanical track. Own or hired 4x4`s. With modern wagons you can negotiate the 4 ox-wagon routes in the Outeniqua Mountains.